Automated subscription billing is at the heart of what. As many as 90% of all products sold through the WHMCS platform having some form of recurring revenue model. However, subscription billing has one notable caveat - failed payments. If you're accepting payments via credit cards, the chances are you're losing some customers each month just because their card cannot be billed. On average, anywhere from 3-20% of your customers will have some sort of billing issue that will lead to a failed payment ranging from overeager fraud filters to insufficient funds. If you aren't monitoring the situation and contacting your customers when they have billing issues, you could be leaving money on the table. One way you can help reduce the amount of failed payments is with Direct Debit. And thanks to our new integration with SlimPay in WHMCS 7.2, it's easier than ever to add Direct Debit to your accepted payment methods. Direct Debit is a pull-based bank-to-bank payment method in Europe, also known as SEPA. With Direct Debit a customer authorises you, the merchant, to automatically debit their bank account. Thanks to the new SlimPay integration in WHMCS 7.2, your business has fully automated billing on-demand. Direct Debit is used to pay everything from recurring Netflix payments to utility bills. 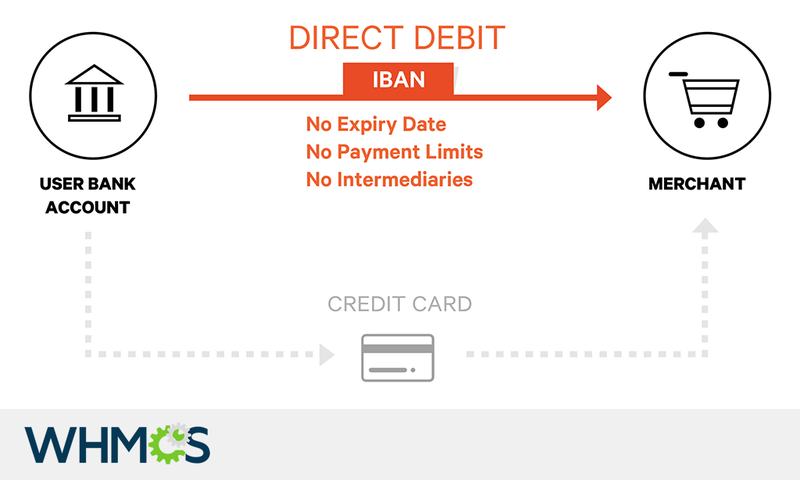 Direct Debit helps merchants of all sizes to reduce churn, increase their customers lifetime value and get paid faster. With a team of over 60 payment specialists spread over 6 international offices and customers in 34 countries, SlimPay is a leader for payments by direct debit.